Pam had been a patient here for a year and was completing Invisalign at her Orthodontist office. After the alignment was completed she was looking to improve her overall smile. Her teeth exhibited a lot of wear, uneven edges, grey undertone in color and Invisalign did not correct all the alignment issues. 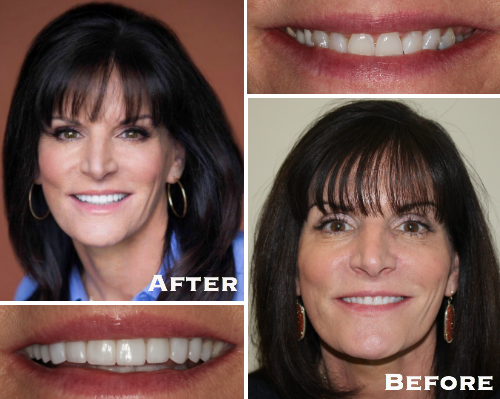 We were able to design a smile with 10 Porcelain Veneers to add some length, change overall shape and enhance the color. The final result looks fantastic and Pam was very pleased. I have now had porcelain veneers for over six months and I am thrilled with the results! I have always been someone who loves to smile and laugh but as I got older the color and condition of my teeth made me a bit self-conscious. Since childhood, I have had anxiety and fear at the dentist however, the whole procedure from beginning to end was simple, smooth and pain free. 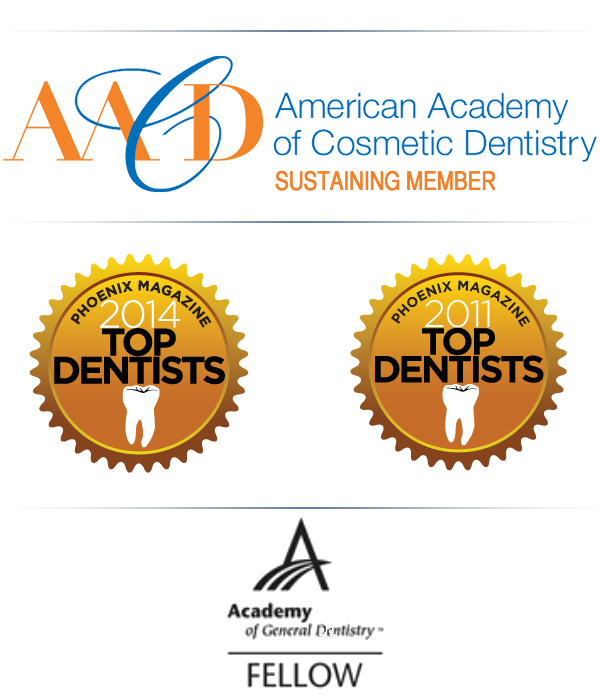 Dr. Gombert and his entire staff are dedicated, compassionate and professional. Thanks to them, I now have spectacular teeth and am thrilled to smile constantly. My teeth look and feel perfectly natural. Having a bright, attractive smile makes me feel great! My only regret is that I didn't do it sooner. These results demonstrate how small, conservative aesthetic procedures can really improve a person’s smile. The close up images show how naturally porcelain veneers can blend in with the natural teeth.